Highway to hell, u turn, highway to heaven. 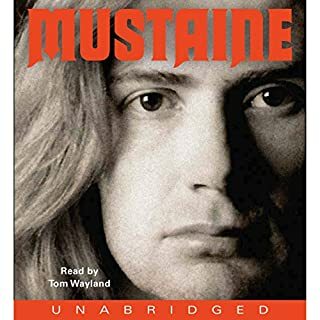 Being a huge megadeth fan for close to 15 years I wanted to read this book, but who am I kidding. I don't read....so once I saw this I jumped at it. Quick overview but no spoilers. This feels like Dave is just sitting there telling you his life story. It's very easy to listen to, if your a fan of megadeth then you'll have no problem listening to it. He does go deep into what all he has tried, how it made him feel, as well as not pulling any punches. It does as well have a fair amount of cussing. So if that is a put off for you, then you might not want to listen to this. And by the end he doesn't pull any punches about his faith in God/Jesus either. In making it clear that he's not a perfect guy, but the only way that he's still here is due to the fact God saved him. As a Christian myself I loved hearing this story. In that aspect it felt like a huge testimony, more than a life story.